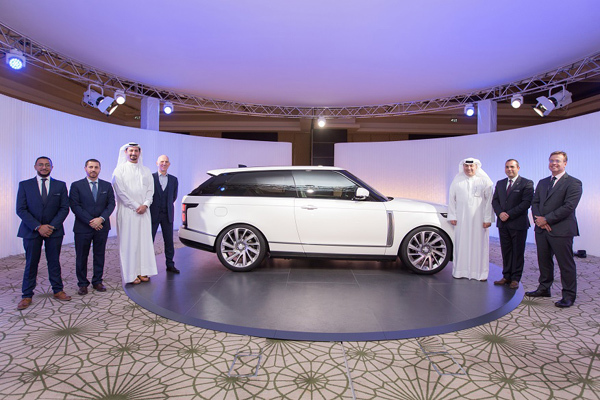 Alfardan Premier Motors Co, the exclusive retailer of Jaguar Land Rover in Qatar, hosted an exclusive event to unveil the world’s first full-size luxury SUV coupé: the limited-edition two-door Range Rover SV Coupé. Created by Land Rover Design and Special Vehicle Operations, SV Coupé is an exemplar of Range Rover design, craftsmanship and capability. It features a seductive body allied to the next-generation of cabin luxury – with the peerless all-terrain ability expected from Range Rover, said a statement. No more than 999 will be hand-crafted by SVO for clients worldwide, it said. Carefully curated body colour combinations, including a new Contour Graphic available in four duo-tone colourways, are offset by unique side vent and grille designs. This is also the first Range Rover with a 23-inch wheel option, it said. “Feedback from SV clients who have already seen the vehicle in confidential commissioning sessions has been overwhelmingly positive,” he said. “This introduction marks a key milestone for our Land Rover brand’s history, as we continue to deliver unrivalled levels of excellence, innovative technologies and uncompromised performance to our customers,” he said. Additionally, Special Vehicle Operations’ bespoke personalisation team offers SV Coupé clients the opportunity to indulge their desire to create a truly unique vehicle to their exacting taste, granting access to 100 more paint colours, plus unique ‘match to sample’ hues, with a range of finishes; duo-tone front and rear leather colours with a bespoke quilt pattern; contrast stitching; headrest embroidery; door handle and tread plate engraving and semi-precious metal badging.